Evasi0n, the much anticipated jailbreak tool for iOS 6 compatible devices, will be available in the very near future. With that in mind, many jailbreak developers are updating their tweaks and apps, and even establishing brand new creations to prepare for the new jailbreak. One such developer is SBCoders, the same team behind such hits as Aero and Dash. SBCoders’ latest creation, the yet to be released Pages+, continues the tradition of solid jailbreak tweaks. 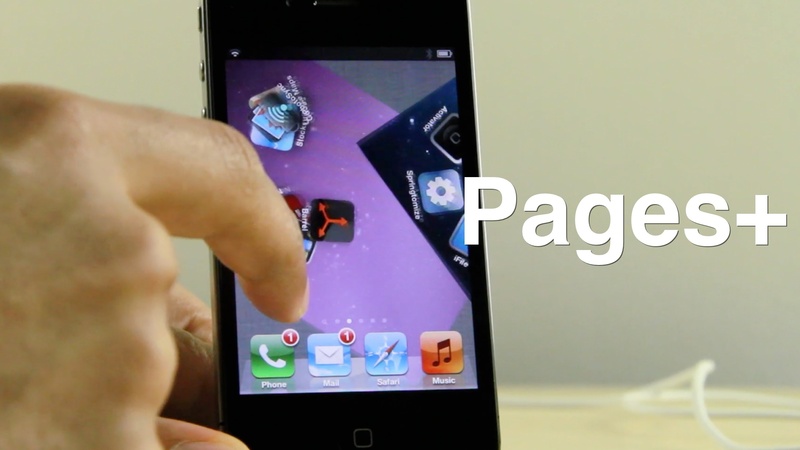 Pages+ allows you to customize each page on the iPhone’s Home screen. You can accomplish this by means of custom wallpaper packs, or by its built in page tinting system. The most exciting thing about Pages+, however, is that it plays nice with Aaron Ash’s Barrel. Barrel, of course, is the jailbreak app that allows you to implement various page transitions on your iPhone. When you mix both creations together, you’re guaranteed to get some wild results. Pages+ has two modes, page mode as seen in the first two screenshots adds “cards” to your home screen pages. The opacity and color of these “cards” are customizable, making them blend in seamlessly with any wallpaper. The second setting – wallpaper mode – is where the cool stuff really starts happening. In this mode every SpringBoard page has it’s own wallpaper (customizable via theme bundles. This makes it almost effortless for Winterboard theme artists to integrate Pages+ with their themes; making the overall experience that much more immersive). The Pages mode allows you to colorize the Home screen pages in one of six colors: black, white, red, green, blue and yellow. You can also adjust the intensity of each color using a handy slider. The page mode only covers the primary app icons on the Home screen, and doesn’t cover the icons in the dock. It’s a different, yet interesting look. It kind of reminds me of how FolderEnhancer looks when opening a folder, yet on a permanent basis. While the page mode is nice and all, the real standout feature here is the wallpaper mode. 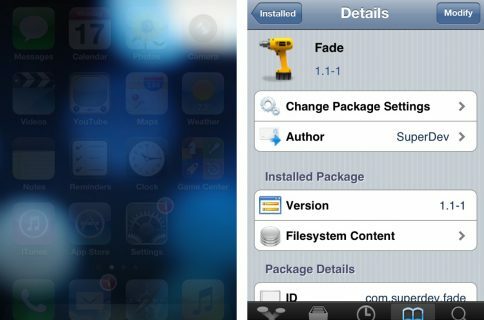 In this mode, you can activate bundles of different wallpaper packs downloaded from Cydia. The beta version of Pages+ I tested came with three different bundles: default, season, and space. The default wallpaper bundle is basically just a compilation of all of the iPhone’s built in wallpaper. The season bundle contains different nature scenes, and the space bundle, as you would expect, contains a pack feature celestial settings. As I alluded to earlier, the best part of Pages+ is its compatibility with Barrel. When mixed together with wallpaper mode, you can create some extremely funky transitions. My personal favorite combination was the page fade transition mixed with the space bundle. Check out the video walkthrough above to see how awesome it looks. What do you think? Does Pages+ bring enough to the table to warrant your consideration? As of now, I don’t have any details as far as release date and price are concerned, but again, you should look for it to hit Cydia shortly after the iOS 6 untethered jailbreak is made available to the public. Be sure to let me think about it in the comment section below.